Cool kids, hot sauce, creepy unicorns and other events we're excited about this week. All the bands in this Pacific Northwest lineup are fighters. Dim Wit and headliners Mope Grooves write off-kilter, jangly indie rock about battling depression, while Seattle grunge pop mainstay Lisa Prank recently got into a Twitter war with Elon Musk about a farting unicorn. Wait, what? The Fixin' To, 8218 N Lombard St., thefixinto.com. 8 pm. $7. 21+. 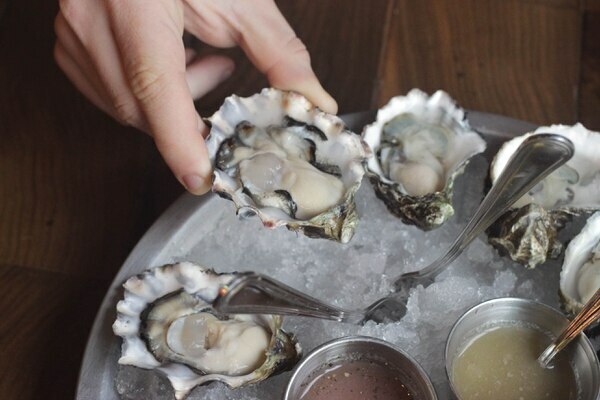 At RingSide's second annual Shuck Off, you can drink champagne and eat oysters while chefs battle it out for the title of the fastest shucker and best mignotte. Director Park, 815 SW Park Ave., facebook.com/ringsidefishhouse. 4 pm. $7. All ages. The city's most luxurious standup showcase is back for August. 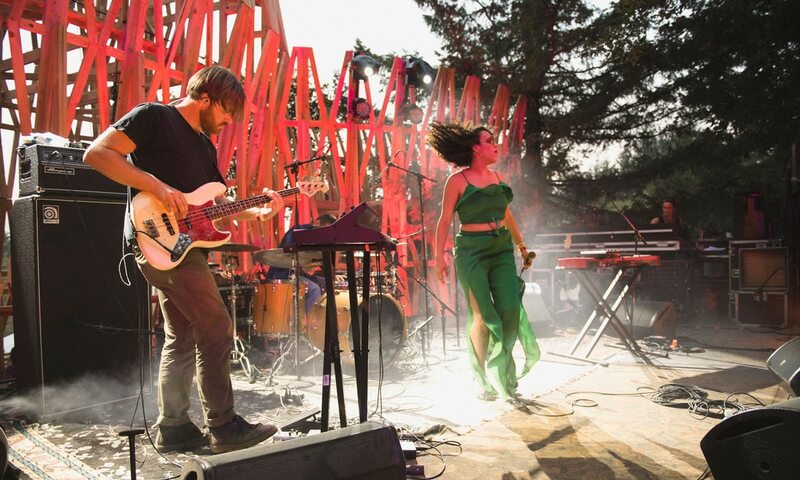 The local lineup will be headlined by Portland expat Nariko Ott, and there'll be music from keyboardist Emily Overstreet. Plus, it's free and held on Doug Fir's bougie patio during extended happy hour. Doug Fir Lounge, 830 E Burnside St., dougfirlounge.com. 6 pm. Free. 21+. 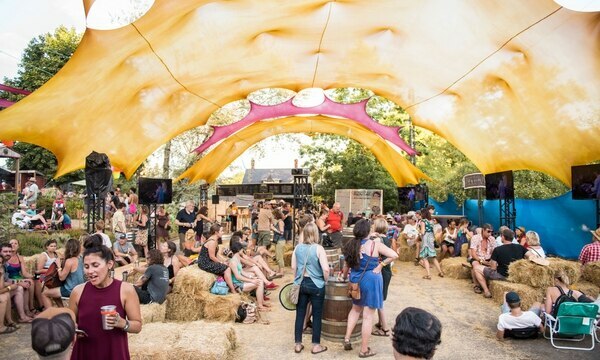 This year, Portland's biggest little music festival turns 20. Broken Social Scene and Built to Spill headline, with a truckload of folkies, rappers and indie-rockers filling out the typically stellar undercard. Pendarvis Farm, 16581 SE Hagen Road, Happy Valley, pickathon.com. Through Aug. 5. $320, teens 13-16 $160, children 12 and under free. Now in its third year, Polaris' outdoor festival is a massive, mixed bag of Portland-area companies from basically every tradition, including ballet, tap, hip-hop and aerial. Director Park, 815 SW Park Ave., polarisdance.org. 11:30 am-7 pm. Aug. 2-4. Free. In one of John Waters' more understated movies, Divine plays a well-to-do suburban housewife with a pornographer husband and son who's a notorious foot fetishist. Hollywood is screening the original Odorama version with scratch-and-sniff cards that allow you to take in the scent of dirty shoes, model airplane glue and farts. Hollywood Theatre, 4122 NE Sandy Blvd., hollywoodtheatre.org. 7:30 pm. $9. If the weather isn't hot enough for you, enter the inferno at the PDX Hot Sauce Expo, where you can set your taste buds on fire with the most extreme eating challenges around. OMSI bridge lot, 1945 SE Water Ave., omsi.edu. $7-$60. H2OK is an attempt to create Oregon's largest water balloon fight on record. It's not just a quirky way to beat the heat, though—it's also a fundraiser for global clean water organizations. There will be water games, food trucks, music, two full bars and more. Shute Park, 750 SE 8th Ave., Hillsboro, facebook.com/h2ok2018. 2 pm. $25-$35. 21+. Every year, Proscenium premieres a handful of new plays over the course of a weekend. The plays are usually written by accomplished playwrights and performed by some of the city's best actors, which makes it all the more remarkable that the shows are free. Artists Repertory Theatre, 1515 SW Morrison St., portlandshakes.org. Aug. 3-6. Free. Pack up the tent, JT, there's a new Man of the Woods 'round these parts. Don't let the rugged promo photos for the new Stephen Malkmus album fool you, though—on Sparkle Hard, the Portland local is working the same laid-back jangle that made him a '90s slacker icon. Star Theater, 13 NW 6th Ave., startheaterportland.com. 9 pm. Sold out. 21+. Arthur Rankin's eerie "kids'" movie about a unicorn trying to save her species from extinction is worth rewatching. The animation is beautiful, the plot is super-weird, and the surprisingly star-studded voice acting includes Mia Farrow and Jeff Bridges. Academy Theater, 7818 SW Stark St., academytheaterpdx.org. Showtimes vary. Aug. 3-9. $4. With Marathon of the Apes, Hollywood Theatre screens eight Planet of the Apes movies in the order of their release, from the original to the recent reboots. 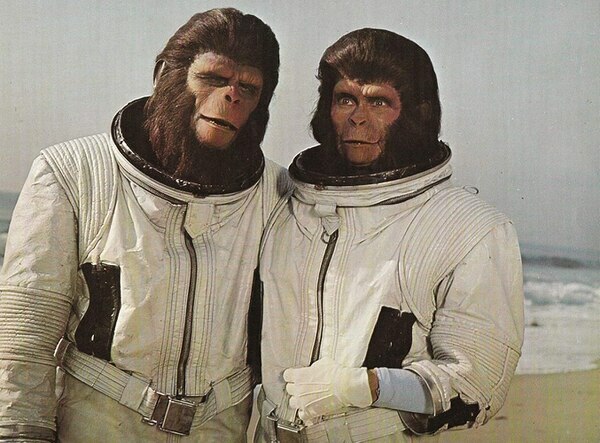 In the series' third film, two chimp overlords travel back in time to Earth, where they wind up in the Los Angeles Zoo. Hollywood Theatre, 4122 NE Sandy Blvd., hollywoodtheatre.org. 7:30 pm. $9. For NW Film Center's local showcase, abstract filmmakers and minimalist musicians team up for what's sure to be a very ambient evening. There will be everything from grainy film to CGI set to synthy soundscapes. NW Film Center, 1219 SW Park Ave., nwfilm.org. 7 pm. $9. Three years after disbanding, Philadelphia's Swearin' has suddenly reappeared with a new album. On Fall Into the Sun, it's clear the band has matured but thankfully haven't eschewed their endearing heart-on-sleeve, punk-inflected rock that has made the project so beloved. Doug Fir Lounge, 830 E Burnside St., dougfirlounge.com. $12-$14 day of show. 21+.